Each year PR News’ CSR and Nonprofits awards lunch is a pastiche of PR tips and tactics and emotion. The 2019 edition, held Friday, was jammed with takeaways and examples of PR using its vast tool kit to do good. We offer a few memories of the awards luncheon, which was held at Washington, D.C.’s historic National Press Club. A map of arts organizations of color. An empowerment initiative for female rabbis. A social-led effort to curb teen bullying.mThese are just a few of the campaigns championed by the finalists at PR News’ nonprofit awards, an elite group of brands that have spearheaded highly successful nonprofit campaigns and initiatives over the last year. 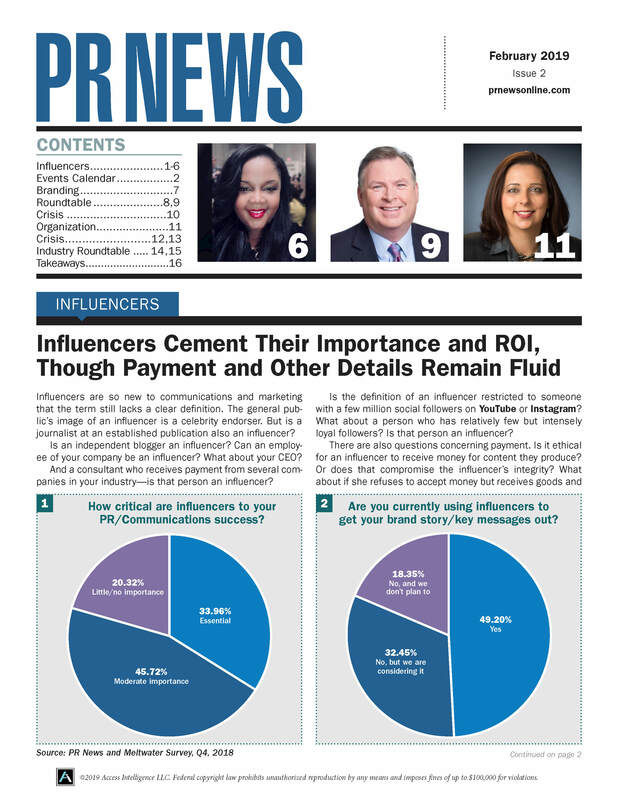 PR News’ 2019 Nonprofit winners will be celebrated at a luncheon ceremony on March 15 at the National Press Club in Washington, D.C.
A good infographic can help any company engage with its audience and provide information in a compelling way. Infographics can help nonprofits in particular increase interest in their cause as well as lead to an upsurge in donations. Here we share an infographic to show why the medium can be so impactful specifically for nonprofit organizations. At PR News’ 2018 CSR & Nonprofit Awards luncheon in Washington, D.C., honorees inspired their peers not just with their accomplishments but with their takeaways from their winning campaigns—making the event a learning experience as well as a celebration. Hunger prevention, hurricane relief, academic scholarships: These are just a few of the worthy causes spotlighted by the 2018 PR News’ Nonprofit Awards finalists. The awards—which benchmark and celebrate the past year’s top nonprofit communications campaigns and the storytellers behind them—will be announced, along with the winners of PR News’ CSR Awards, at a luncheon March 20, 2018 at The National Press Club in Washington, D.C.
Each year, PR News celebrates the individuals and teams making a positive impact through nonprofit PR, marketing and communications campaigns at PR News’ Spring Awards luncheon in Washington, D.C. At this year’s luncheon, held March 22 at the National Press Club, PR News honored the winners and finalists of its Nonprofit PR Awards. PR News will celebrate the winners and honorable mentions of its 2017 Nonprofit PR Awards at its annual Spring Awards luncheon celebrating the CSR and Nonprofit PR Awards at the National Press Club in Washington, D.C. on March 22, 2017. The Nonprofit PR Awards recognize excellence in key areas of nonprofit communications, from advocacy, branding and social media to crisis management, media relations and video campaigns.